U-M students have a range of opportunities to pursue their passions, from academics to athletics to hundreds of student-run organizations. For students who want to change their organization, campus or the world, there’s the Michigan LeaderShape® Institute. Imagine two U-M students. Both attend class, do well and make friends. But one follows her interests outside the classroom: she joins student organizations, holds leadership roles and spends a summer interning in the field where she hopes to work. When it's time to apply for jobs, the second student will be ahead, explains Kerin Borland, Director of U-M’s Career Center.  In Student Life, we talk about “transformative learning experiences” for U-M students. The phrase describes a key aspect of our core work, and we do much more than talk about them—we enable them, create them and champion learning experiences that help students realize their talents and passions. Residential Dining Services prepares thousands of recipes throughout the year, including traditional American fare, dishes from regions around the world, vegetarian selections, fresh baked pizzas, breads and desserts, soups and sushi… the offerings go on and on. This past summer, senior Amerique Philyaw interned with the university’s development office and the Student Life. Amerique was member of the Development Summer Internship Program (D-SIP), which the Development Office offers each year to U-M undergraduates. U-M graduate Cherish Thomas lived in 20 different foster homes before attending the University of Michigan. By the time she was 17, she had lived in more than half a dozen states and had even been homeless, living on a playground, begging for food from strangers. The U-M community celebrated its legacy of service this October on the 50th anniversary of campus events that led to the creation of the Peace Corps. The University of Michigan gained a new Ombuds this year, and no, that’s not an acronym! “Ombudsman” is an old Scandinavian term for an independent official who hears concerns and works for fair solutions. When I came to the University of Michigan and started looking for a part-time job, I wasn’t expecting too much from it. I thought it would just take up some time and put a little money in my pocket. But after three years of working at the Hill Dining Center Marketplace, I can say I’ve learned a lot from my experiences as a Student Manager there. Each fall, over 1,000 University of Michigan students join one of the university’s 69 social sororities and fraternities. If your student is considering joining, the university’s Office of Greek Life can help you understand the recruitment process and learn more about the organizations at U-M.